"MacKenzie and I are honored to be able to help today’s 'Dreamers' by funding these scholarships"
Amazon founder and CEO Jeff Bezos and his wife, MacKenzie, announced Friday that they will donate $33 million to help young undocumented immigrants who had obtained DACA status to pay for college, NBC News reported. Bezos, whose father came to the U.S. from Cuba, said the donation will help fund the college tuition of a thousand young immigrants who are now pursing higher education. 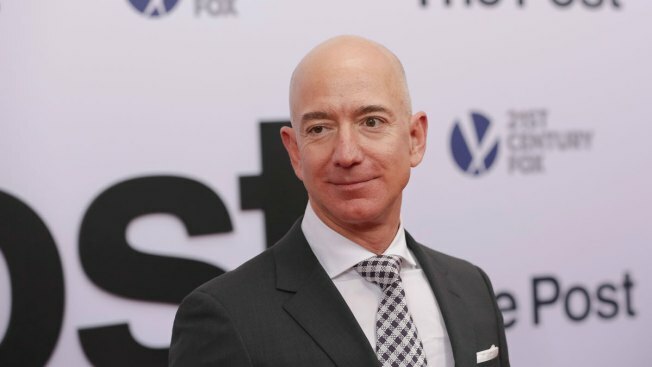 “My dad came to the U.S. when he was 16 as part of Operation Pedro Pan,” Bezos said in a press release, referring to an early 1960s program by the Roman Catholic Church and the U.S. government that brought 14,000 children from Cuba without their parents after Fidel Castro's communist government took power. “He landed in this country alone and unable to speak English. With a lot of grit and determination — and the help of some remarkable organizations in Delaware — my dad became an outstanding citizen, and he continues to give back to the country that he feels blessed him in so many ways. MacKenzie and I are honored to be able to help today’s 'Dreamers' by funding these scholarships,” Bezos said.